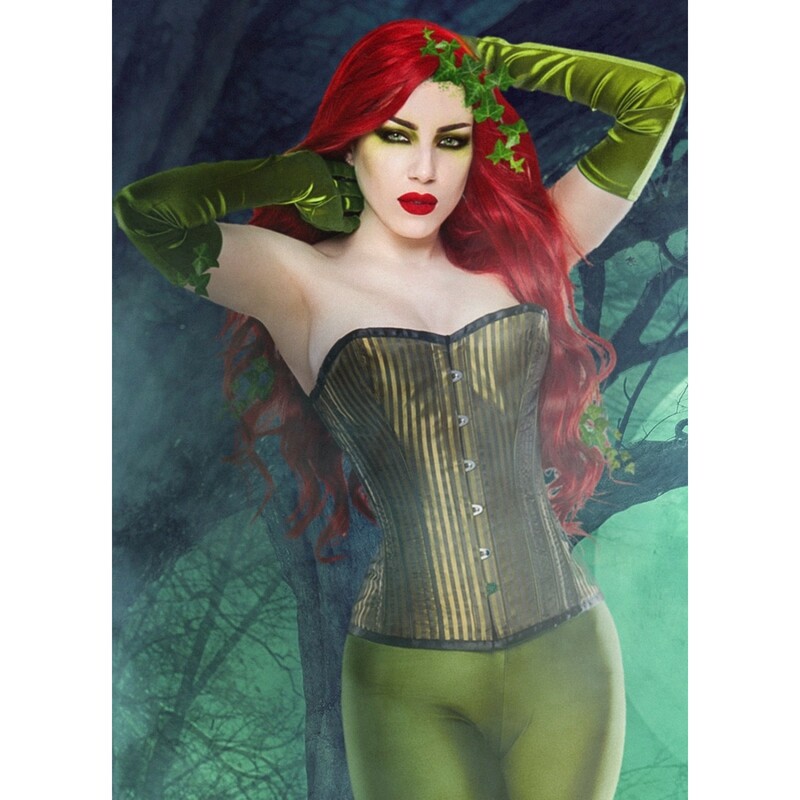 This stripe corset can be styled to create some truly amazing looks like the Poison Ivy and a Joker outfits shown here.The only limit is your imagination. This highly versatile corset can be styled for burlesque, goth, cosplay, pinup and much more. Vertical stripes create slimming effect, but these stripes are combined with the hourglass figure creating corset, for extra effect. This corset is a must have.